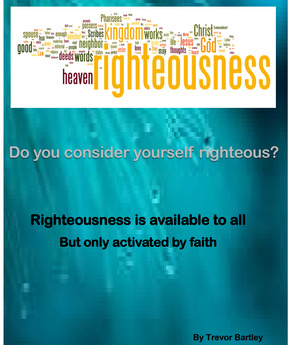 Do You Consider Yourself Righteous? It is commonly thought that righteousness must be earned. Anything worth having must be earned—correct? We think, to make something valuable you have to do something for it. Not so in the Kingdom of God. In fact, something as valuable and precious as righteousness is a ‘free gift!’ Still religion would tell you that your position of righteousness is based upon your performance. If that were true, you would not need Jesus. This scripture here in Romans indicates that the New Testament believer can have the requirements of the law of righteousness and Justice FULLY met in them! Have you ever wondered how this is possible?